Browsing articles tagged with " cash-in"
How to Know Your GCash Balance? 5. You will receive a message from 2882 about your balance. Note: If it fails, you should have at least 5 peso load. 5. You will be asked if you want to have a printed receipt. You may opt not to if you want to view it only in your screen. 6. You will be asked also if you want to do other transaction. 7. Select No, if you don’t. Kindly proceed to any Globe Business Centers / any Globe Accredited Partners and bring at least one (1) valid ID. You may text FIND GCASH and send to 7000 for you to know theGCash outlets near you. You can go to any Globe Center and request to do a GCASH cash-in transaction. You will need to fill up a GCASH Service Form, and present any valid ID to complete your transaction. Cashing in at a Globe Center is FREE. 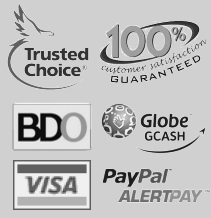 GCASH has over 1,800 accredited partners around the Philippines. These include SM Department and Metro Gaisano Stores. You will also need to fill up a GCASH Service Form and present a valid ID to complete your GCASH cash-in transaction. You may be charged a transaction fee, which may vary per partner. Text FIND GCASH and send to 7000. You can also convert the cash in your Bancnet account to GCASH. To convert, you just need to go to any Bancnet ATM, select the option to do a fund transfer to Asia United Bank/GCASH. You will then be asked to key-in the 11-digit number of the mobile number you wish to load. After the transaction is completed, you will receive a text confirmation. Bancnet currently only accepts cash to GCASH conversions. You will be charged P25.00/transaction. You can also reload your GCASH wallet through the BPI Express Mobile menu on your SIM. To load your GCASH wallet directly from your account, go to the BPI Express Mobile menu and choose GCASH Transfer then choose the Bank to GCASH option. You will be asked to enter your BPI Express Mobile 6-digit PIN and indicate the amount of cash you want to transfer to your GCASH wallet. Person-to-person money transfer or P2P allows you to send GCASH to any Globe or TM subscriber at the speed of a text message, anytime, anywhere. Just type AMOUNT <space> 4-digit PIN and send to 2882+10 digit cellphone number of the recipient. Please note that before you can use P2P transfer, you must load your mobile wallet with GCash first.